Mike is a native Chicagoan and currently serves District 6440 as the Assistant Governor Coordinator. He will be District Trainer in 2011-2012. Prior District posts have included Assistant Governor, PETS Chair, and Community Service Advisor. 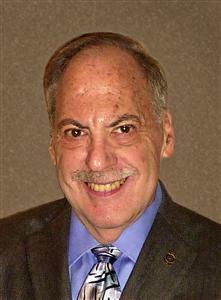 He is a past president of the Rotary Club of Niles/Morton Grove. Mike holds a BA in Political Science and an MBA in Marketing from the University of Chicago. For more than 20 years, he's operated Yesner Marketing, Inc. He also teaches marketing at both the graduate and undergraduate levels. His career started at Proctor & Gamble and he's also worked for Sears, J. Walter Thompson, and other ad agencies. His clients have included McDonald's, Marriott, Arby's, and Popeye's. Mike is married to Donna and they have two children, Staci and Steve, and one grandson, Theo. He has served on the Board of Commissioners of the Golf Maine Park District for 24 years and is currently its president.